India has set an ambitious target to electrify 100% of vehicles on road by 2030. It aims to achieve 6-7 million sales of hybrid and electric vehicles each year from 2020 onwards. The government is promoting the idea through various financial schemes and incentives. With increasing population and rising pollution levels, demand for EVs is poised to increase in India. The National Electric Mobility Mission Plan (NEMMP) 2020 was launched in 2013 by the government of India. The scheme aims to promote hybrid and electric vehicles and thus work towards achieving fuel security in the country. The plan of going electrical should envisage a total fuel saving of 9500 million litres by 2020 that will be around INR 62,000 crore of fuel cost. This step of the government will not only reduce the country’s fuel dependency on imports but will also help in reducing GHG emission in India. The FAME scheme was launched under NEMMP 2020 in the Union Budget for 2015-16 with an initial outlay of INR 75 crore. 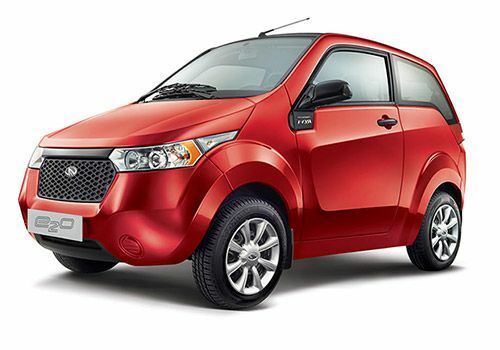 Also read our List Of Best Electric Cars Running In India. The Faster Adoption and Manufacturing of (Hybrid &) Electric Vehicles (FAME India) scheme will encourage buyers to purchase electric vehicles over the traditional fuel based cars. The government of India shall reimburse the automakers the discount that the auto makers will pass on to the customers. An amount of INR 795 crore has been provisioned for the development and promotion of electric and hybrid vehicles through 2015-2017. Out of the total funds s um of INR 260 crore shall be utilized in 2015-2016 and the balance in the next year. Almost 60% of these funds are allocated towards Demand Incentives. The scheme will apply to all vehicle segments i.e. two, three and four wheelers, cars, LCVs, buses etc. 4. Focus will be to develop indigenous technology and R&D capability to develop and manufacture components and systems for these hybrid vehicles in India. A number of R&D and pilot projects are already running in India. The public charging stations will be constructed based on the density of such vehicles and the local transportation pattern etc. Emphasis would be laid on developing low cost but high quality chargers in India. How we apply for subsidy please share guideline for it.